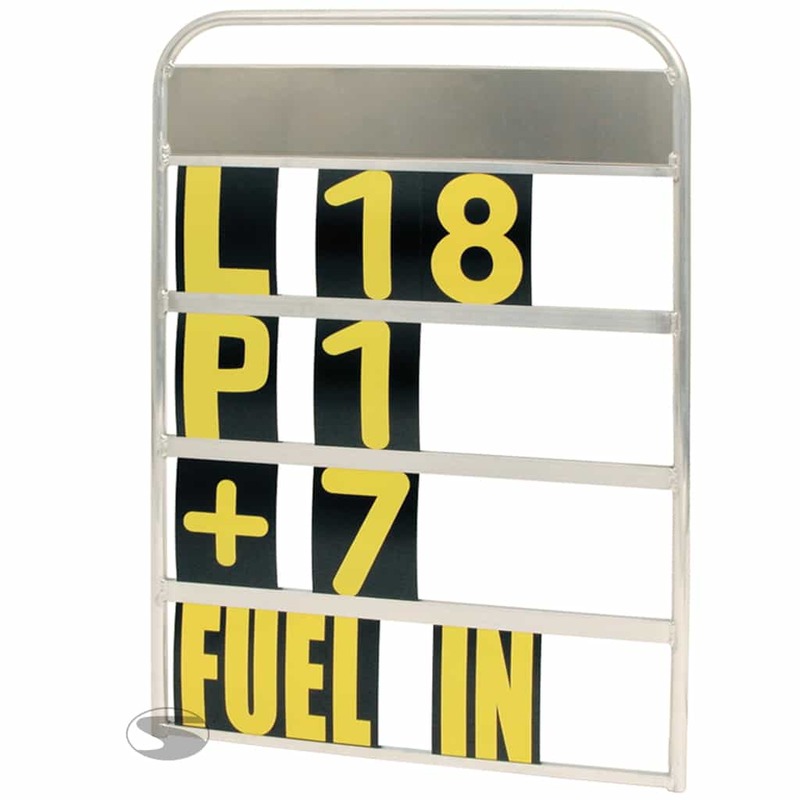 Standard aluminium 4 row Pit Board frame supplied with a complete set of digits and characters. The numbers come with a storage case for easy transportation. – Digits approx: 12.5 x 17.5 cm.